Malt liquor, or not malt liquor? This is a sneaky can of beer. This enigma is brewed in Colorado by Oskar Blues Brewery, most famous for its Dales Pale Ale, which is a great great hoppy beer. OBB doesn't bottle their beers; rather, they can them. They list a whole lot of reasons why its better to can beer than bottle it, which you can find here. I won't repeat all of them, but one that I like is that the new-fangled aluminum cans of the here-and-now have a water-based coating (KY jelly?) that does not allow beer and metal to touch, thereby abolishing any potential flavor swapping. I don't know if all beers use this new-futuristic aluminum, because some taste really metallic when you drink them. And I think that metal even adds to the taste of some beers, which might be why PBR is the only beer I prefer out of a can than a bottle (it makes me feel more hip when its in a can). OBB also lists a lot of environmental benefits to using aluminum over glass bottles, including using less packaging and reducing their carbon footprint through shipping costs. 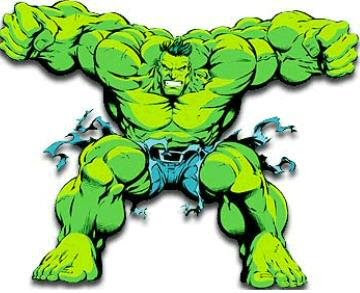 But you know the best way to drink beer and be green? That's right, keg stands!!! No harming the environment there! 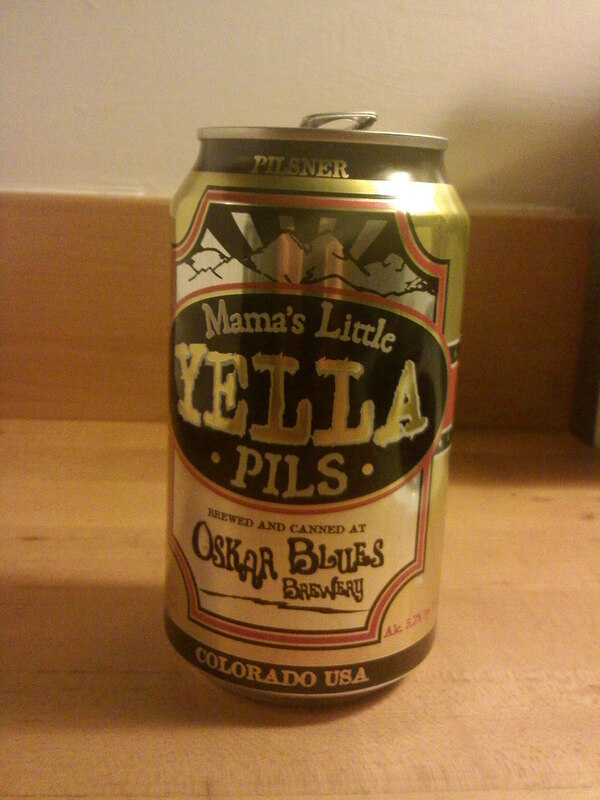 But back to the sneakiness of Mama's Little Yella Pils. It is clearly a pilsner, both by name and by taste. It tastes like any old pilsner you might, something like a Heineken. But here is where the mystery comes in: in small vertical print, on the side of the can, are the words "MALT LIQUOR." It's as if this is a can of golden ML and they didn't want to let you know that. Its as if OBB is conspiring to turn the whole damned world into malt liquor drinkers without them knowing it, like the time when I was about 8 and I asked my mom what we were having for dinner, and she told me chicken, and I only found out afterwards that it was pork (I didn't like pork at the time, but now, my god is it good!). I don't think my mom wanted to make me like pork, she just wanted me to eat what she made for dinner that night. She won that small battle. Regardless of the nature of what is in the can, its pretty tasty and easy to drink. I'd say its better than Heineken and Colt 45 combined. Times fifty. Its a bit pricey in the $10 a six-pack range, and packs an average 5.3% ABV. I would definitely pick this up again for the novelty of having a craft brew in cans - people might actually think that I am cool. I imagine this is a trend that might pick up soon, as more and more people are trying to be green so they might want to can their beer instead of bottle it. thought you were going with kermit on the green thing. but u made a solid move. I had a boss once whose name was Kermit. He went to college in Mississippi during prohibition, and his frat house would leave a few empty milk bottles on their front porch every Friday along with a few dollar bills. The moonshine man would come by, take the dollars, and fill up the milk bottles with moonshine. Those were simpler times, my friend.